Altogether, we offer you 600 square meters of stylish spaces. 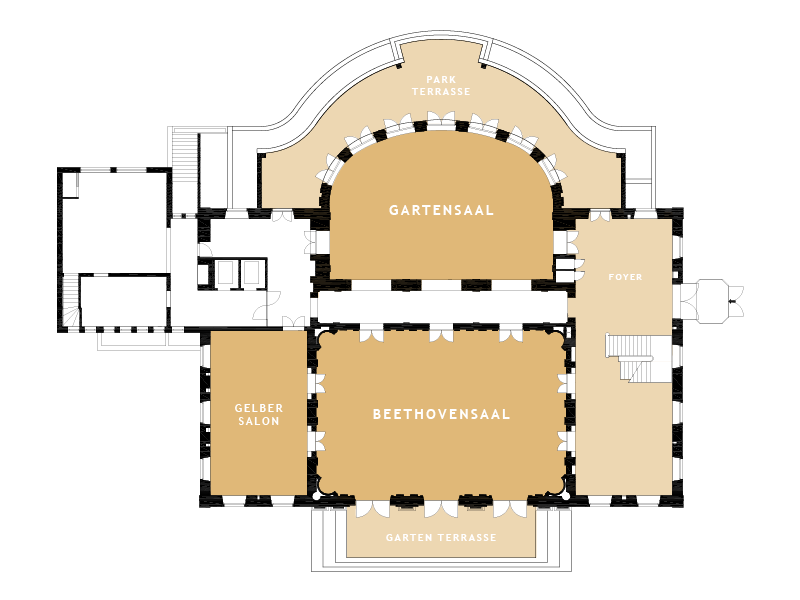 The Beethoven and Garden Ballrooms & Yellow Salon on the ground floor offer space for events with 60 to 250 guests. 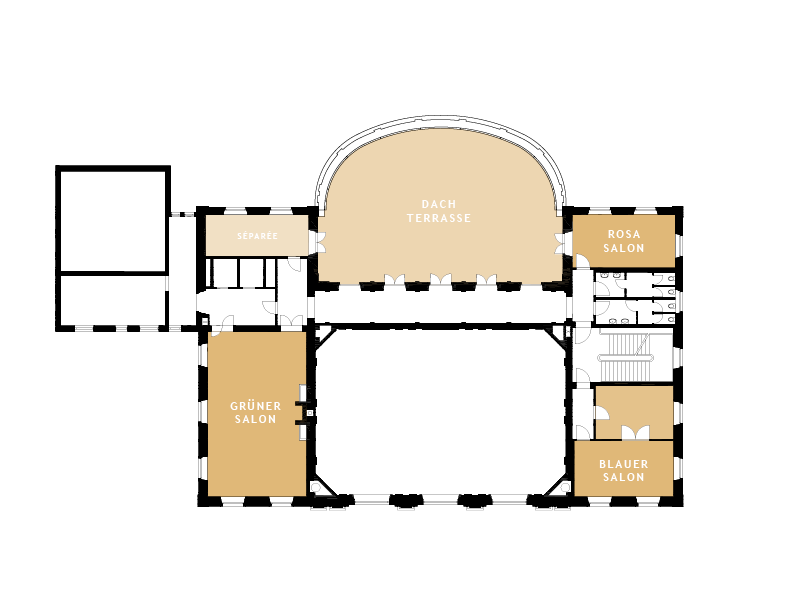 For smaller meetings or conferences, the Blue, Pink and Green Salons are available on the first floor.